Friends of Albania is proud to announce that we have awarded 9 grant proposals to-date in 2018. 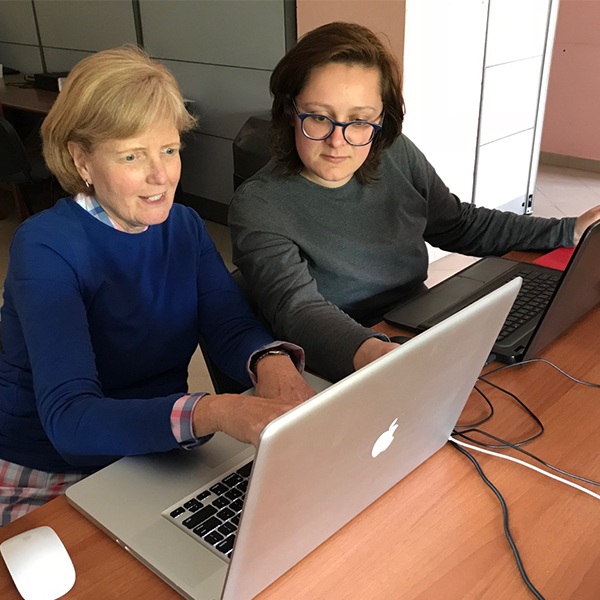 The grants represent Peace Corps Volunteers and their counterparts in the communities of Peshkopi, Librazhd, Shkozet, Krume, Rreshen, Prrenjes, Shkoder, Corovode and Vau Dejes. 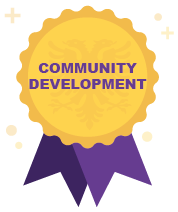 The awarded grants represent all three sectors of Peace Corps in Albania: Community Development, Health and T.E.F.L. The Friends of Albania will help provide sports equipment for the school. The equipment will be used to enrich the physical education classes as there is minimal resources currently. Further, the equipment will be used to establish the first Vau Dejes sports teams to be able to compete against other schools in the area. We are making several small improvements to the Shejnaze Juka Foreign Language School’s English and Albanian Library and building a media center, to be used by our students and the non-profit organization Albanian Audiolibra. The media center will have computers, audio equipment, and other technology which will allow students to develop multimedia projects benefiting their foreign language education and will give Albanian Audiolibra the ability to continue its work recording free books into Albanian. Arlis Alikaj, an environmental engineer, activist, and head of QMSZ, along with myself as PCV, will design and facilitate a 12-week environmental excursionary club for elementary school youth in Librazhd. Weekly sessions will bring the youth directly out into nature to learn about the local environment in a hands-on manner, utilizing session guidelines provided by the European Youth Foundation. Friends of Albania funding will support production of printed materials, purchase of crafting materials, and provide for a capstone day trip into the nearby Shebenik- Jabllanicë National Park. Leveraging International Earth Day, CSDC will implement an environmental education project in Shkozet. Friends of Albania funds will educate student leaders about the environment, support a field trip to a recycling plant, and provide basic materials for a hands-on activity to make art projects from recycled things—thereby recycling already-recycled products. These student leaders will then take what they learn to the lower-grade students in their school. 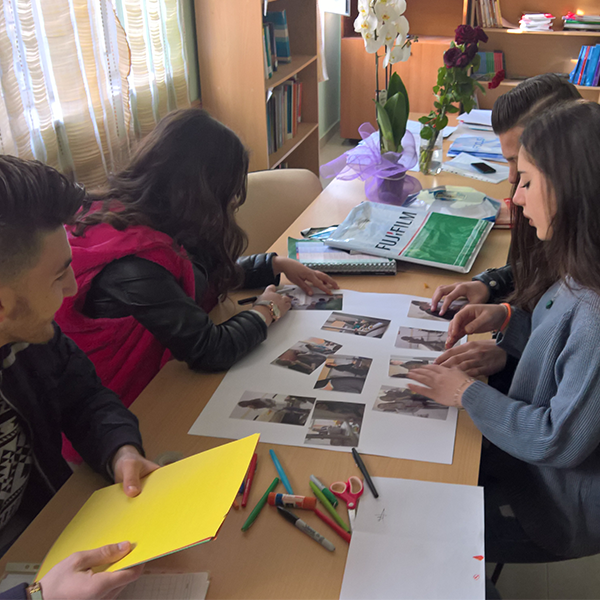 This project will directly impact about 220 8th- and 9th-year students, plus staff, in an under-served administrative unit of the Durrës Region. Indirectly, all students at the school (~1,000) will receive environmental education, which is vital to improving the health of Albania’s natural resources. My counterpart, Nevila Manga, and I both work at the Tourist Information Center in Peshkopi, Albania, and are part of the planning and organizing committees for all cultural events in the community. We would like to include more local youth performing groups to be a part of these events, and to promote these groups within the community to encourage community engagement and appreciation for youth in the arts. Friends of Albania funds would help us by covering the costs of hiring the performers, and purchasing materials to aid in their promotion for the annual June 2018 Cherry Festival. Students have been requesting a sports camp for several months. The school lacks equipment for gym materials. Friends of Albania funds will be used to buy balls and other sports equipment to support development of a sports summer camp. The Rreshen Yoga Club, founded in 2017, meets once a week for yoga at the local Gjimnaz. Friends of Albania funds will support the purchase of 15 yoga mats and 15 yoga blocks for the girls to use on a weekly basis. The support for these yoga mats and blocks will allow for the girls to not only to practice yoga safely, but allow for them to learn about self-care for themselves and responsibility for the equipment. Working with the youth and Tourism office of Corovode we will use GPS mapping of trails around Corovode and prominently label and mark trails to promote hiking and exploration of natural areas of Corovode. This grant will pay for the paint, brushes, and 3 trailhead signs in Corovode. This project will help to increase Corovode's ability to attract visitors as well as fostering a sense of pride for the youth of Corovode. Klubi i Grave Shqiptare focuses on the needs of women in Prrenjas, Albania and the surrounding villages. Members meet once a weeks to address the local women’s pressing concerns, attend half an hour long classes on a variety of topics and increase community involvement. Friends of Albania funds will support 15 club kits for the women, a variety of learning materials and refreshments.